As we flesh out the new website, our viewers may notice that the implied purpose of the Average Squad may be stretched and pulled a bit. For example, Leon's NSX may not seem like an "average" vehicle. And make no mistake, it isn't. But we're into a lot of different stuff, and we aren't going to limit our site to exclusively mundane, OEM or OEM plus vehicles. That being said, we are certainly still into boring, unloved, and forgotten cars. Introducing "Nerding Out", a segment where we take a deep dive into the cars that made us. We often have the opportunity to photograph survivor cars, or cars that have been restored to OEM quality, but they don't necessarily warrant a whole feature about that specific car. Sometimes an owner loved a car, kept it looking nice, and that's all there is to it. But if we've got a set of good pictures, we aren't going to sit on them, so we'll just nerd out on the car while we show it off. I'm not sure if there's anything that defines our appreciation of the mundane automobile than the fourth generation Honda Accord. 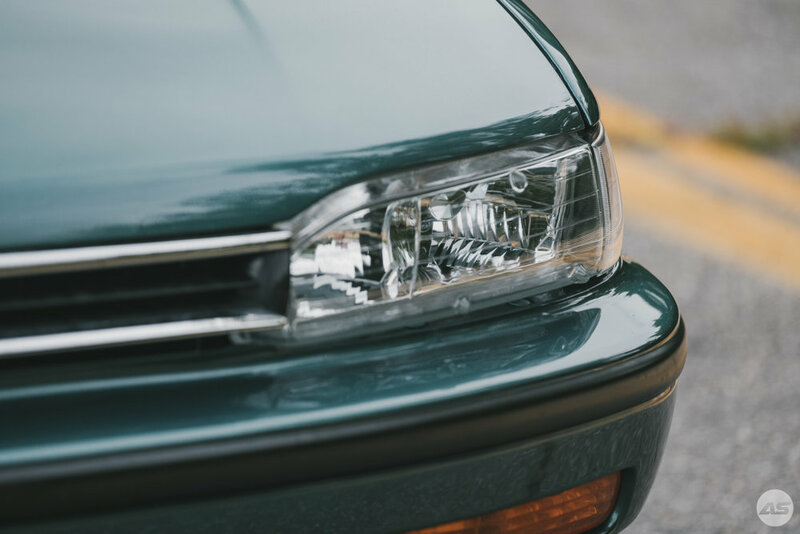 Released in 1990, this chassis represented a shift into maturity, losing the sporty three-door hatchback (easily mistaken for its AE86 and S12 contemporaries), the quirky JDM Aerodeck model, and lovable pop-up headlights. 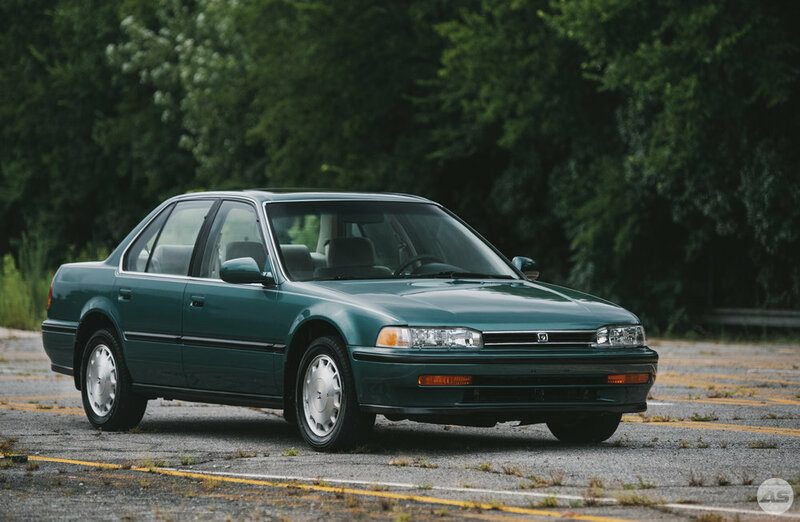 This Accord, known by enthusiasts by the "CB" chassis moniker, would now be split into the very 90's line-up of sedan, coupe, and wagon variations. All models were powered by Honda's F-series 4 cylinder engines, with as much as 140hp in the American market SE and EX models. As was common in the nineties, the Japanese market received a more powerful 2.0Si-T model with 150hp that sat at the top of the pack. 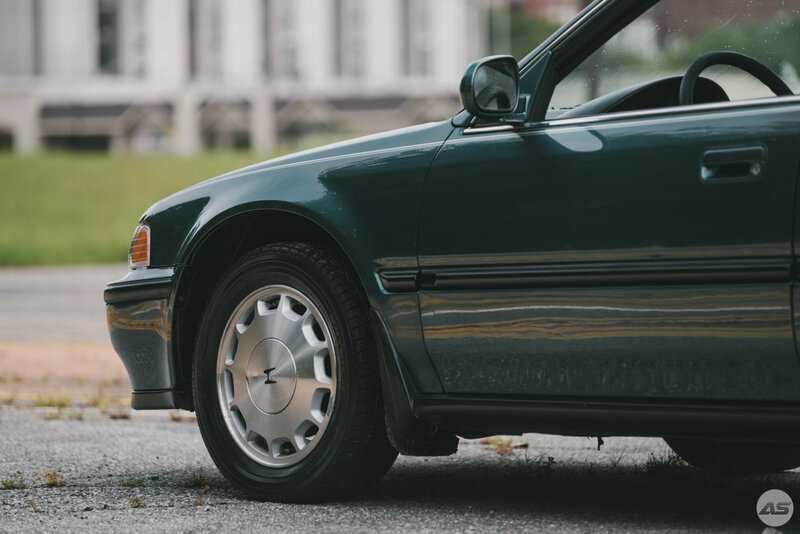 Outside of being an engine donor for entrepreneurial nineties Honda tuners, the fourth gen doesn't hold a special place for many enthusiasts like other golden-era Hondas. Being that there was no true sports model offered in the U.S., most fans of this chassis were recipients of circumstance, gifted it as a first car, or just respect it for what it was; a simple, reliable everyday car. 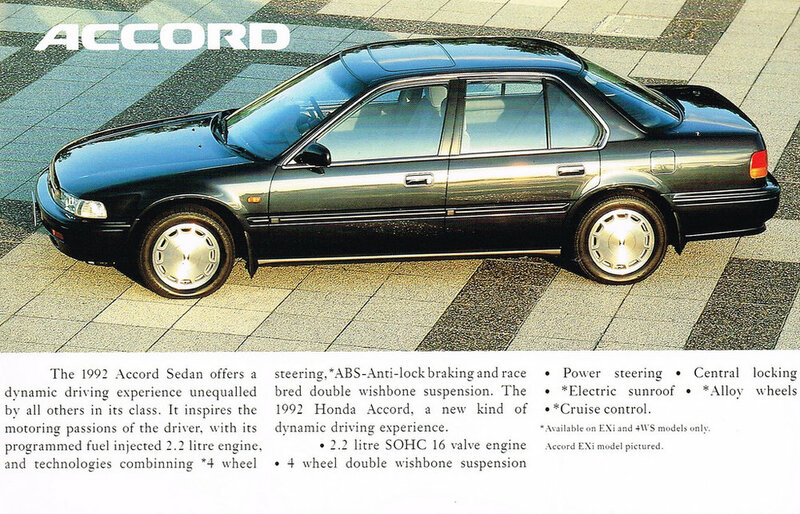 If there's one thing that we can pull from the CB Accord is that it's okay for boring cars to be boring. This Honda Accord wasn't sporty, it wasn't styled aggressively, it wasn't fast (the Accord wouldn't get a V6 until the fifth generation) and it didn't handle like a go-cart. It did however, move people around reliably in a reasonably handsome package. While the current tenth generation Accord is certainly an incredible machine, it's anything but subdued. We ask our basic people-movers to be everything these days, and in that, we lose a bit of honesty of design, and muddle the purpose of the machine. So pour one out for simplicity done well, and one for the fourth generation Honda Accord. The Accord featured here is a locally-owned, well-loved model with 176,216 miles. It was recently restored by Brent Horn of Horns Speed and Paint (@horns_speedandpaint).